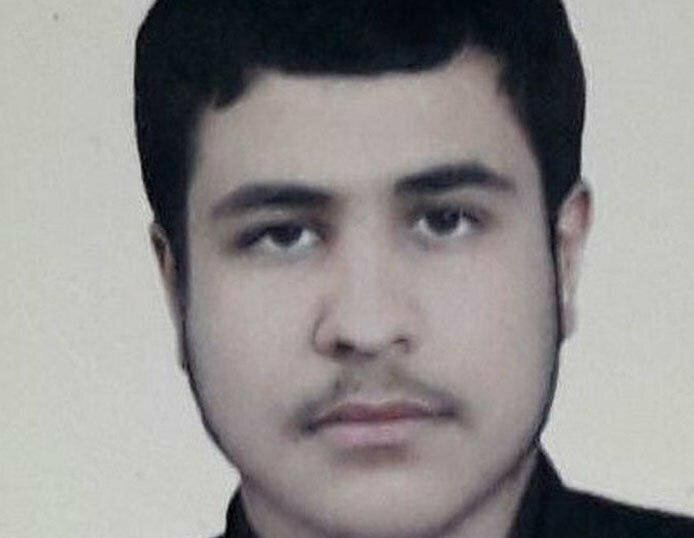 Hossein Esmailpour, was hanged Saturday for killing of a mullah who had allegedly sexually abused him when he was a minor. A young man was executed today at the Central Prison of Rasht. Hossein Esmailpour, was found guilty of premeditated murder of a mullah who had allegedly sexually abused him when he was a minor. According to the IHR sources, Hossein Esmailpour was a student at a religious school when the clergyman, Fakhri Langaroudi sexually abused Hossein over a period of several years since Hossein was 14 years old. Subsequently Hossein Esmailpour killed the mullah with the complicity of two of his friends on September 15, 2014. One of the defendants who was charged with complicity to murder was released and the other one is sentenced to life imprisonment. Fakhri Langaroudi, the clergyman, was an advisor in 2013 elections for Mohsen Rezaei (former Commander in Chief of IRGC) campaign, and the consultant of the secretary of the Expediency Discernment Council in Gilan province. The whole judicial process leading to Hossein’s death sentence lasted four months, which is very short to deal with such a complicated case. Hossein’s father had previously told “we did not have a chance to prove us in the court, because the victim was a clergyman and he had an influential family. Everything was for them and the court did not listen to us… Finally, the judge issued the death sentence in three or four months and then the Supreme Court upheld the verdict,” IHR reported.